Being rich does have its perks. Celebrities, regardless of how they came to fame, always have interesting taste in cars. Since the majority of celebrities make insane amounts of money they’re usually the only people who can afford the cars most people . Now some celebrities when it comes to cars. . But what about those who have good taste in cars but terrible taste when it comes to personalizing them? Every celebrity wants to stick out, but these five ruined their cars. Everything about Nicki Minaj is larger than life, even her choice in cars. 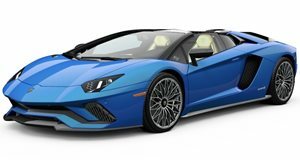 The rapper, songwriter and singer enjoys things that are as flashy and flamboyant as she is, which is probably why she chose to purchase a Lamborghini Aventador Roadster. Minaj probably wasn’t interested in the supercar’s 6.5-liter V12 that generates 691 hp, but rather its ostentatious design that captures the eye of everyone on the road. The Aventador Roadster is an amazing supercar, but Minaj ruined it machine in pink and fitting it with a set of pink Forgiato wheels. Why pink? Well, Minaj also has a pink Bentley and a pink Range Rover, so at least they all match. A new color and some ugly rims ruined this rampaging bull. Besides having an interesting name, Will.I.Am has an interesting idea as to what passes for a good-looking car. The rapper, entrepreneur, actor, philanthropist (and much more) has always been interested in cars, but not in a traditional way. Instead of going out and purchasing expensive supercars, Will.I.Am enjoys built to his specifications. His 1958 Volkswagen Beetle cost $900,000 and is . It was worked on by Austin Weiss at The Garage, as well as West Coast Customs, and took an insanely long time to build. At the front lies a supercharged LS3 engine, a Bentley-inspired grille, Morgan-styled fenders and other custom touches. It may be unique, but it's certainly not good looking. You may hate Justin Bieber for a variety of reasons, but there's no arguing that the young Canadian singer is talented. Oh, and he also has a crazy car collection. But why the hell did the singer decide to wrap one of his supercars in this highly questionable print? 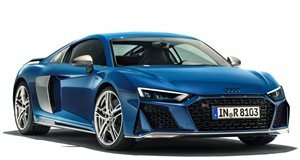 The Canadian took the elegant design of the Audi R8 and ruined it with a leopard print wrap. Apparently the wrap is inspired by one of his favorite outfits made up of animal-spotted pants and shoes. The R8 is a great supercar, and Bieber's outfit may be fashionable, but the two together are just awful. Singers and movie stars aren’t the only celebrities that have horrible taste in cars. Occasional Cleveland Browns wide receiver Josh Gordon has an utterly ridiculous ride. Gordon’s off-field behavior is just as questionable as his taste in cars as this hideous Porsche Panamera proves. The receiver decided to give his high-performance sedan a fully-body camouflage look that we’re hoping is a wrap. 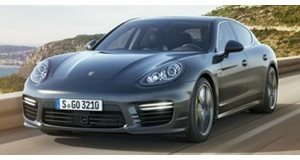 Apparently, the Panamera’s look is a reference to duck hunting, but what it really does is make the Panamera uglier than ever. Lastly, you can’t have any kind of ugly celebrity car list without Chris Brown. No one, and we really do mean no one, has ruined cars like Brown. The songwriter, actor and singer has had the opportunity to not only own exotic cars on the planet but also ruin them with ugly wraps and paint jobs. Some of Brown’s worst creations Lamborghini Gallardo covered in Tupac lyrics; a red, white and black camouflaged Lamborghini Aventador, a fighter-plane inspired Gallardo and much more. Brown has great taste in high-performance cars but ruins every single one of them with a questionable wrap. Why is it so hard for celebrities to leave supercars alone?